This week saw Microsoft bring back the classics. Thirteen of them to be exact. 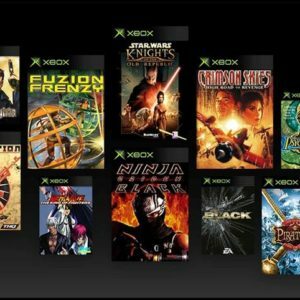 That’s right, Original Xbox games are now playable on the Xbox One. If you want the full list, we’ve broken it down in a handy list. Microsoft opened ticket registration for a pop-up hotel in Pyrmont, Sydney next weekend. Folks who scored tickets can expect to play the new Xbox One X early for up to an overnight stay. Microsoft says they’ll be giving out some tickets for those who missed out. We’ve booked a spot and we’ll bring you an exclusive story following the event which sticks around for two days this coming weekend. Activision had a big PAX Australia showing for Destiny 2, and had puppies and Cayde’s signature ‘spicy ramen’ on the show floor. The PC version came out (if you missed our PC round-up, click here), and with its release came speculation of mass bannings (later confirmed to be untrue) and a cool ViDoc showing what it was like for Bungie to bring the franchise to PC. A new Animal Crossing has come out (in Australia)! 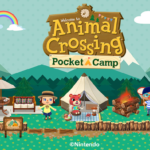 Following the announcement of a Nintendo Direct earlier in the week, the company has since announced Animal Crossing: Pocket Camp for iOS and Android. The game will hit worldwide mobile devices next month, but if you’re in Australia, the game is out now. This week was big for game releases. Mario got a new release, a new Assassin’s Creed is out, plus Wolfenstein II. If that’s not enough to tide you over, next week sees the release of Call of Duty: WWII, and a new Bubsy is on its way (had to sneak that in somewhere).